How much is Nicole Kidman Worth? Nicole Kidman is an Australian actress, and, with a net worth of $130 million, one of the highest-paid performers in the world. Born in Honolulu to Australian parents, Kidman was raised in Sydney but holds dual American and Australian citizenship. Her career began on Australian television, but she made the leap to American features in 1989, with the thriller Dead Calm, and has rarely looked back. Kidman worked consistently throughout the 1990s, appearing in Days of Thunder, Far and Away, My Life, To Die For, and Eyes Wide Shut, but hit the A-list in 2001 with the Baz Luhrmann musical Moulin Rouge!, which garnered her first Academy Award nomination. Where does Nicole Kidman live? She won the Academy Award for Best Actress the following year for her portrayal of Virginia Woolf in The Hours, and by 2006, she was the highest-paid actress in Hollywood. During this period, she appeared in Cold Mountain, Fur, The Stepford Wives, Bewitched, and Australia—her second collaboration with Luhrmann—and became the face of Chanel No. 5, in the course of which she was reportedly paid $12 million for a three-minute television commercial. 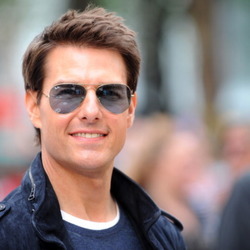 Kidman married actor Tom Cruise in 1990; the couple adopted two children before divorcing in 2001. 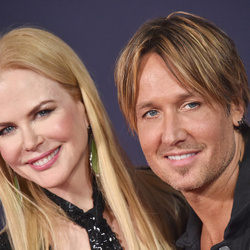 In 2005, Kidman met Australian country musician Keith Urban at a gathering of Australians in Los Angeles; the two married in 2006 and had a daughter, Sunday Rose, in 2008. Kidman lives in Sydney, Sutton Forest (New South Wales, Australia), Los Angeles, and Nashville. Nicole Kidman has gone on to star in several more films including Dogville, The Human Stain, Cold Mountain, The Stepford Wives, Birth, The Interpreter, Bewitched, Fur, The Invasion, Margot at the Wedding, The Golden Compass, Australia, Nine, Rabbit Hole, Just Go with It, Trespass, The Paper Boy, Stoker, The Railway Man, Grace of Monaco, Before I Go to Sleep, Paddington, Strangerland, Queen of the Desert, The Family Fang, Secret in Their Eyes, Genius, Lion, How to Talk to Girls at Parties, The Killing of a Sacred Deer, The Beguiled, and The Upside.